WHAT COULD MAKE A MORE BEAUTIFUL SEASON'S GIFT THAN THE SOUL TREE, A COLLECTION OF POEMS BY LAURA HOPE-GILL AND PHOTOGRAPHS BY JOHN FLETCHER? COME MEET LAURA on DEC. 16 AT CITY LIGHTS BOOKSTORE IN SYLVA. SHE WILL READ FROM HER WORK AND SIGN HER BOOK FOR HOLIDAY GIVING. 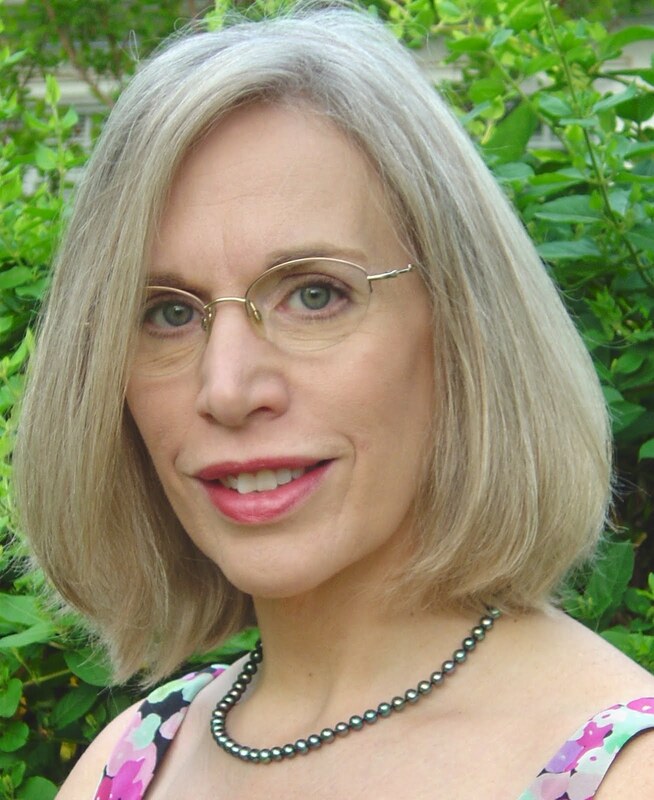 LAURA HOPE-GILL will be at CITY LIGHTS BOOKSTORE THIS THURSDAY, DEC. 16TH, 10:30 a.m. to discuss her work. Please join us for coffee, tea, and pastries----and poetry by both Laura and attendees. -- To say that Laura Hope-Gill and John Fletcher, Jr. have put together one of the most stunning books I've ever seen would be an understatement. Here is a collaboration that expands the definition of that word. It's a seamlessly interwoven collection of words and images that invite and inspire, in the the original meaning of that over-used term. 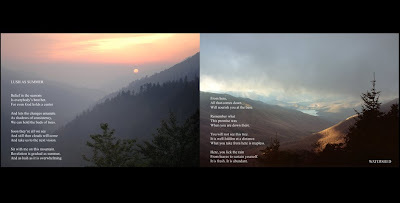 Laura's poems show the depths of her poetic "inseeing, " as Rilke calls it, and Fletcher's photographs open up the landscape that Laura sings into being with her words. The Soul Tree speaks to the landscapes of internal and exterior reality. In this collection those two landscapes have found harmony through two artists working together in celebration of what they love. 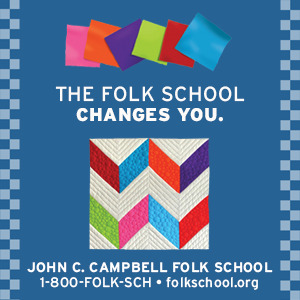 Laura Hope-Gill is in the process of being certified as a Certified Applied Poetry Facilitator by the National Federation for Poetry Therapy, working under the mentorship of poet and psychotherapist Perie Longo. The Director of Asheville Wordfest, a free poetry festival which presents poetry as Citizen Journalism, she consciously pursues ways of revealing poetry’s relevance to every-day life and not merely an “art form” whose only use is to beautiful. 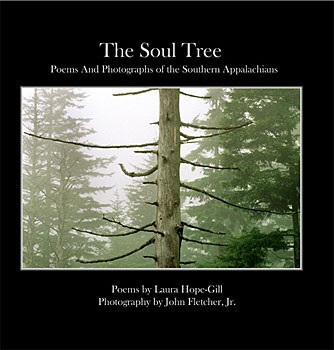 The Soul Tree: Poems and Photographs of the Southern Appalachians (Grateful Steps, Asheville) is a collaboration with local photographer John Fletcher, Jr. and is an application of her vision of poetry as a conversation between inner and outer worlds. 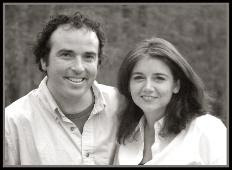 Renowned photographer John Fletcher has this to say about the beginnings of their collaboration. "After visiting my landscapes website in the spring of 2008, Laura replied with an email containing an attachment titled, 'The Soul Tree.' I was stunned after reading the poem, then I noticed that there were 35 more pages to the document. My jaw dropped a little lower each time I scrolled to the next poem…36 in all. I was speechless.Not only was her writing beautiful and poignant, but her poetry brought new life to the photographs. I was also quite overwhelmed by her choice of photos…not the pretty sunset pictures that most people like. She was inspired by the photos that were my favorites…the mysterious and more abstract images that I feel personify my experience and observations. 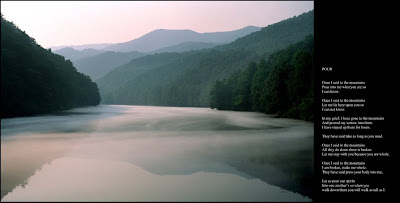 Today I continue this pursuit by working as a staff photographer for the Asheville Citizen-Times, shooting weddings, and freelancing for regional and national clients including, USA Today, The Associated Press, MSNBC, The Washington Post, The New York Times, and the Asheville Chamber of Commerce." Images and poems from The Soul Tree may be found at http://www.thsoultree.org/, along with ordering information and more about the two artists who have brought this lovely book into existence.